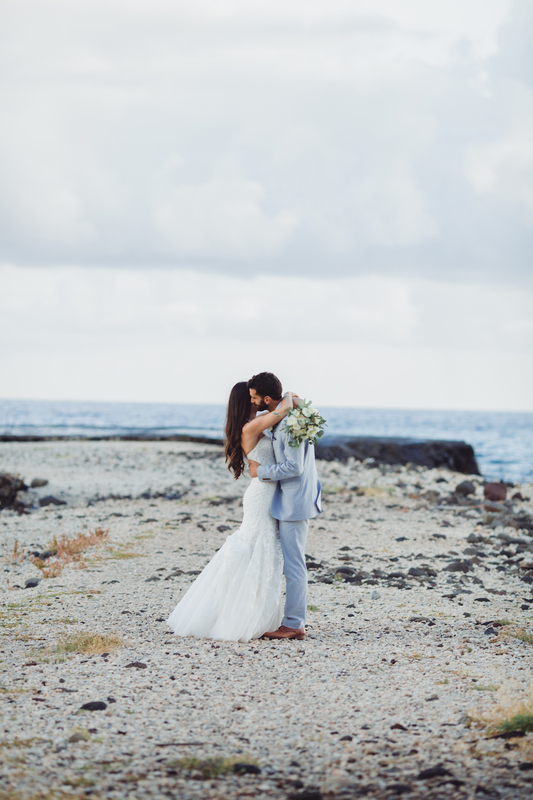 With the groom’s ties to Australia and the bride’s family coming from the United States, Cat and Ben settled on gorgeous Olowalu Plantation Estate in Maui as the perfect middle ground for their destination wedding. 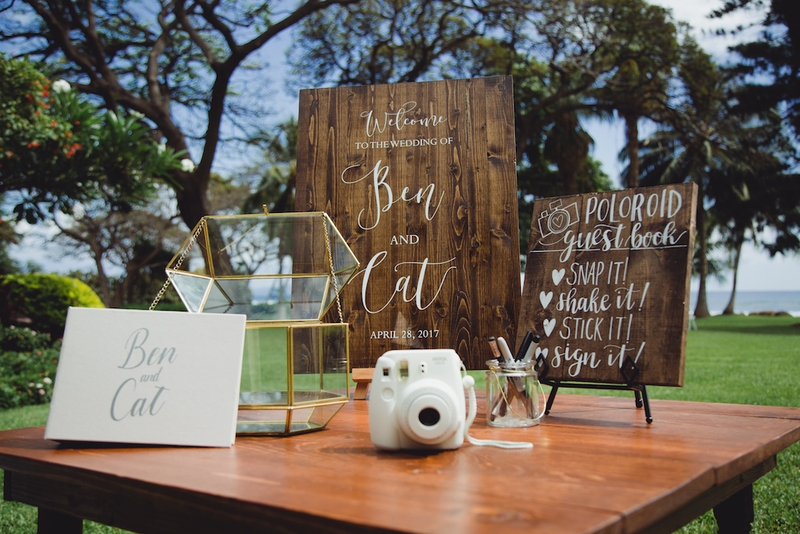 Cat and Ben desired an intimate affair focused on quality time with guests and personal touches. 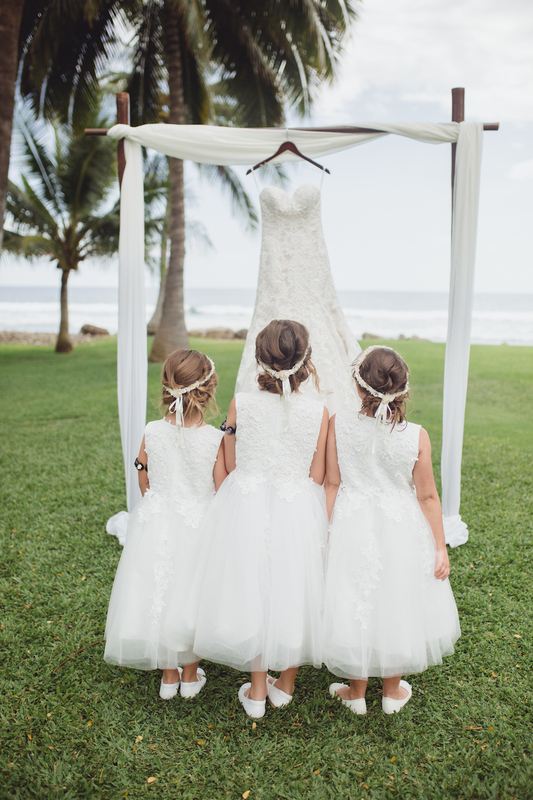 Maui’s Angels really captured the wedding which was romantic, rustic and elegant. 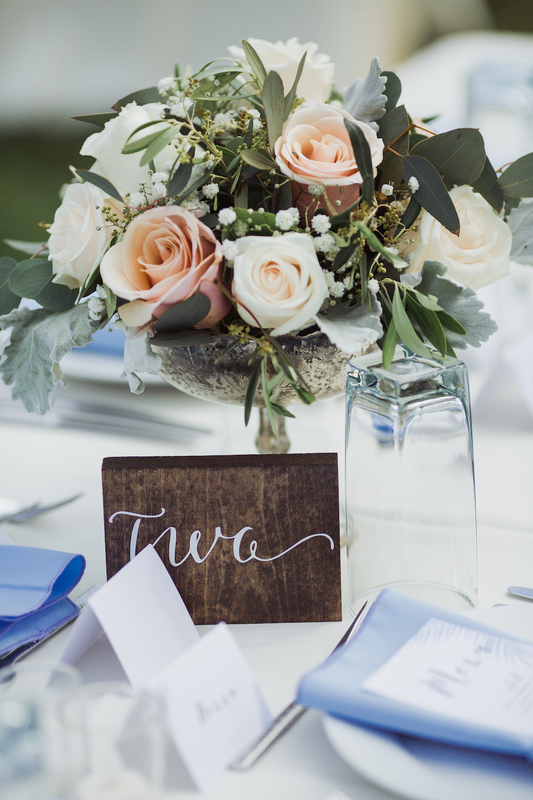 The bride DIYed the signage and paper goods, pulling in a tropical yet rustic design with muted blue tones to match the dusty blue, blush and cream color palette. 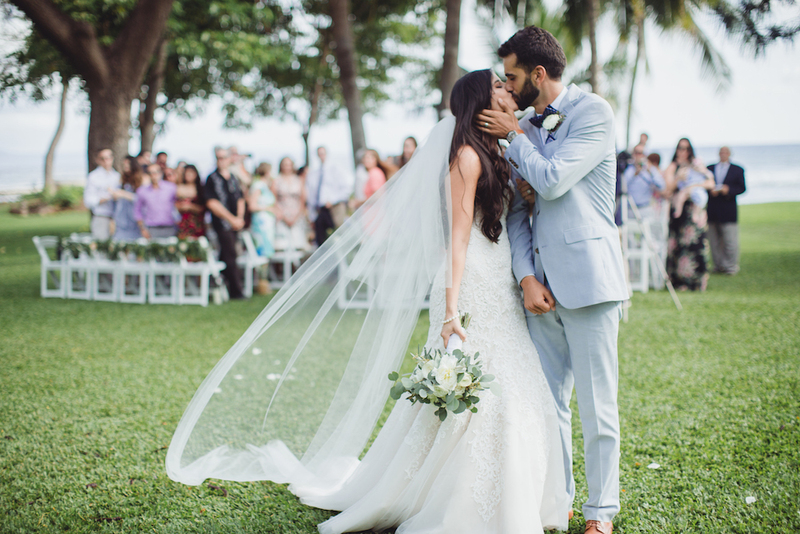 Soft greenery, a vintage lounge seating vignette and a rustic rope swing hanging from the oceanside banyan tree created the perfect backdrop for their dream wedding. 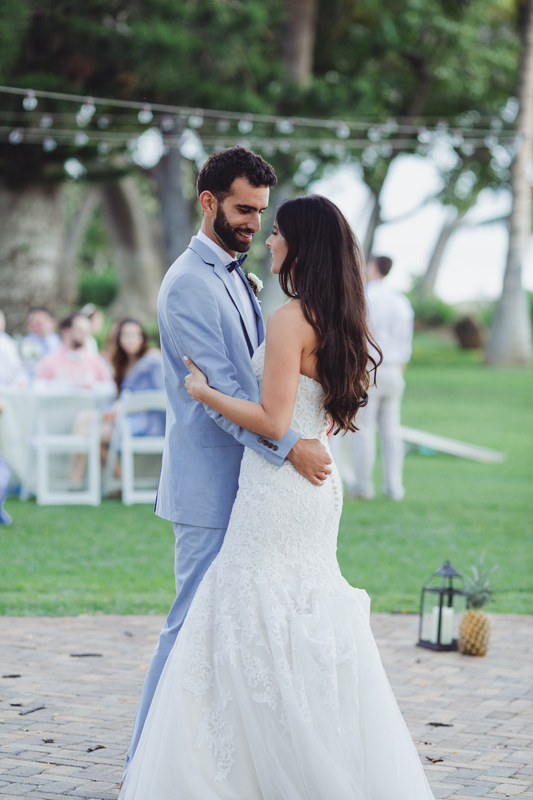 They were married by the groom’s soccer coach and mentor for a truly special and custom ceremony followed by an evening of celebrating and dancing under the stars. Scroll down to see all of the stunning photos shot by Chris J. Evans. 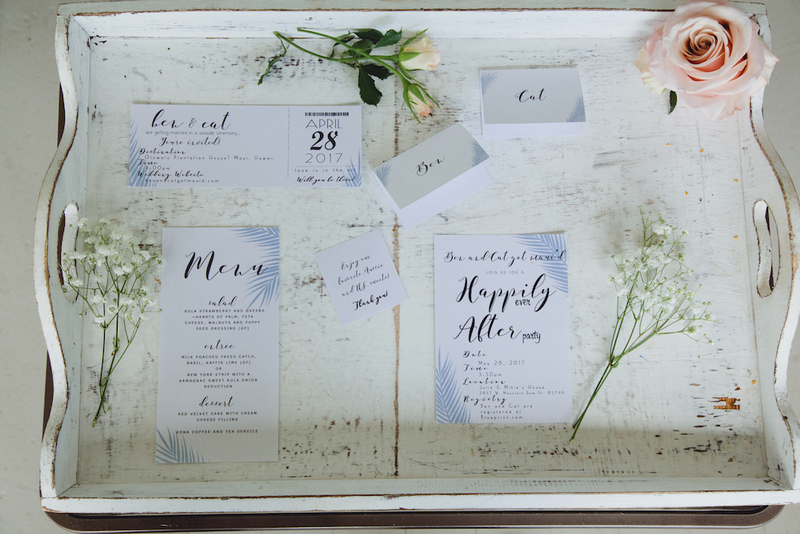 Rustic elegance meets tropical for this stationery suite. Is this the cutest thing you have ever seen?! With a back drop like this, all of the photos are perfection! 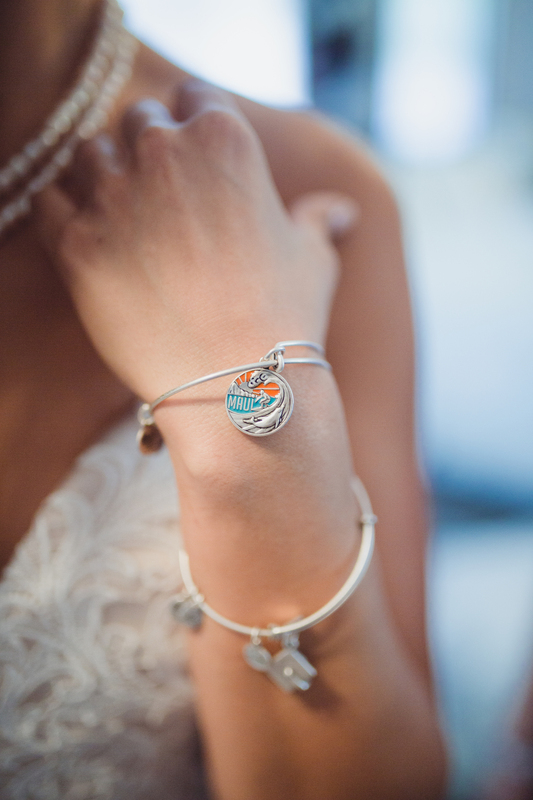 Her personal touches to tie in their location. 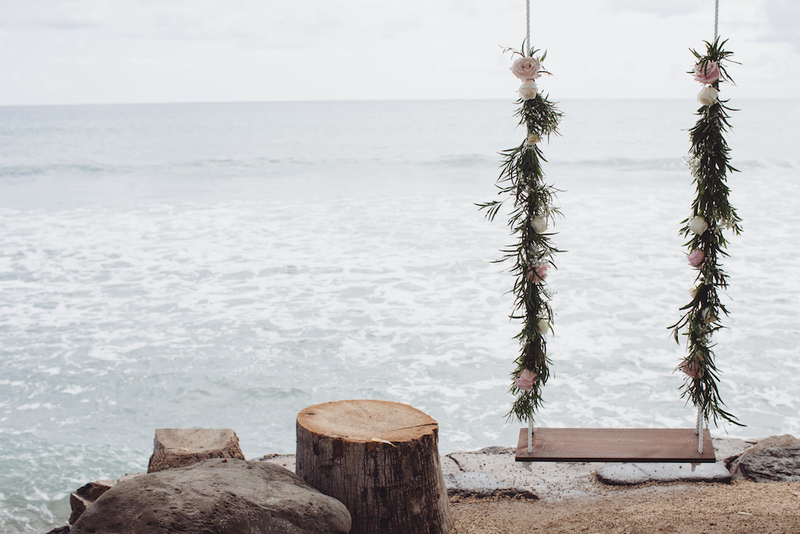 How magical is this swing overlooking the sparkling ocean! 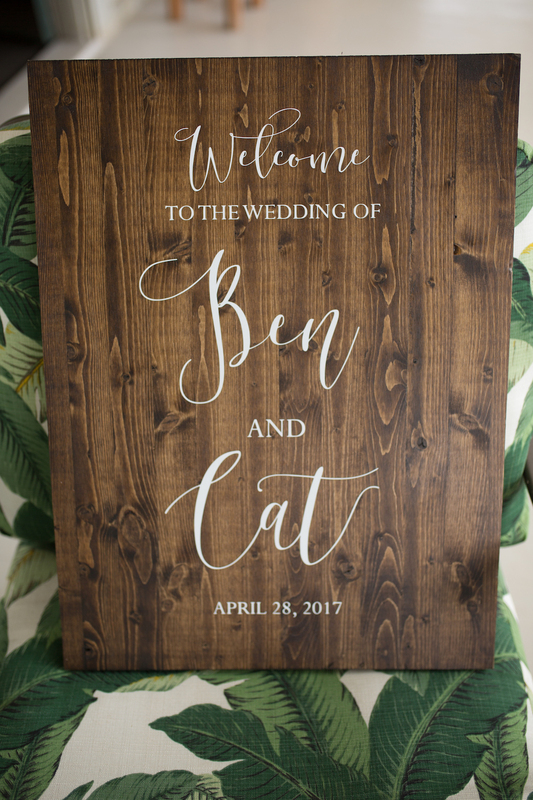 Such a sweet welcome sign. 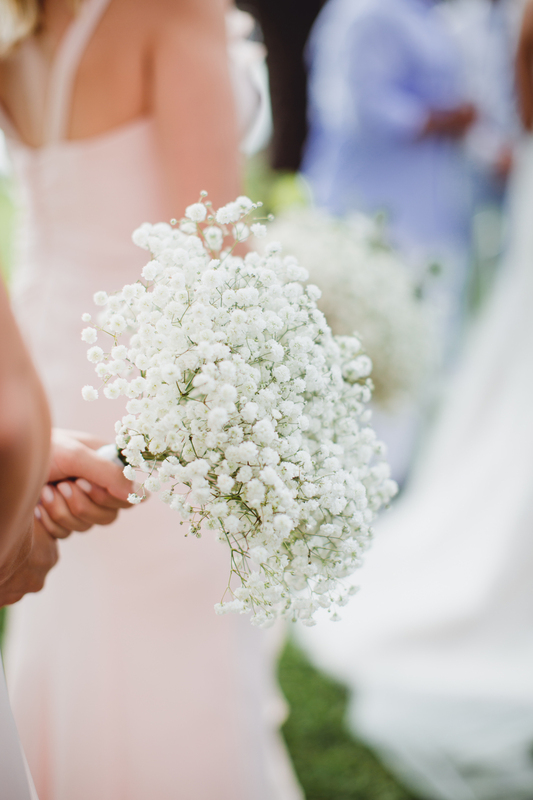 Simple yet elegant bouquets for the bridesmaids. 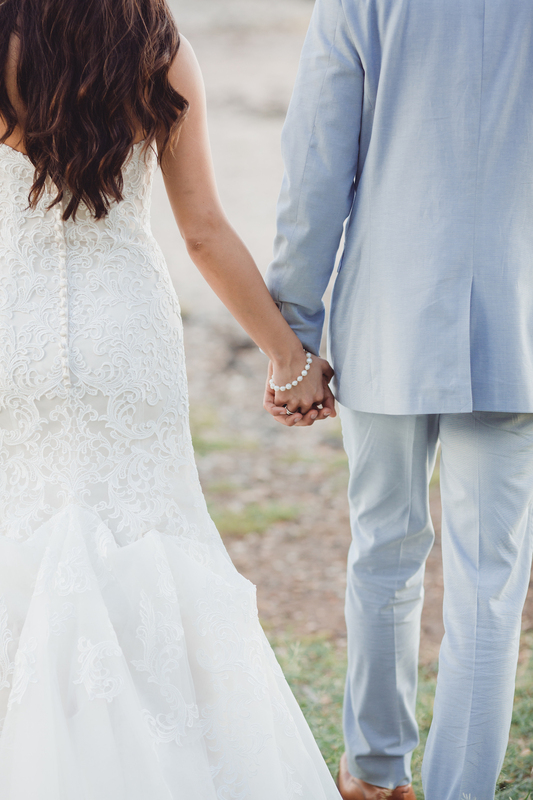 This happy couple couldn’t get much happier in this moment! 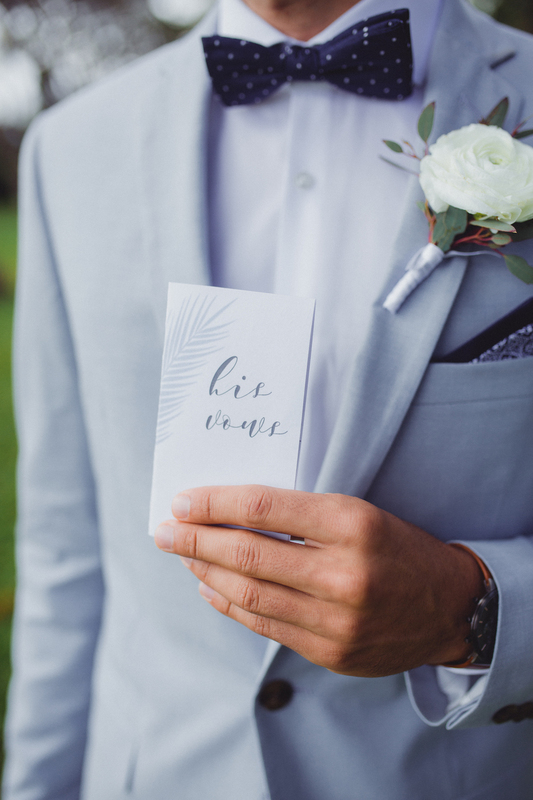 Personal touches all throughout the day! 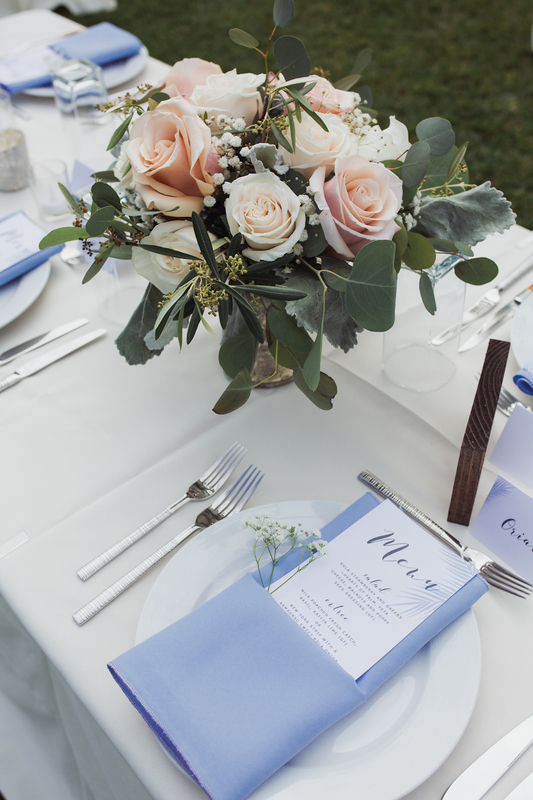 Loving all of the fresh blooms and simple table decor.